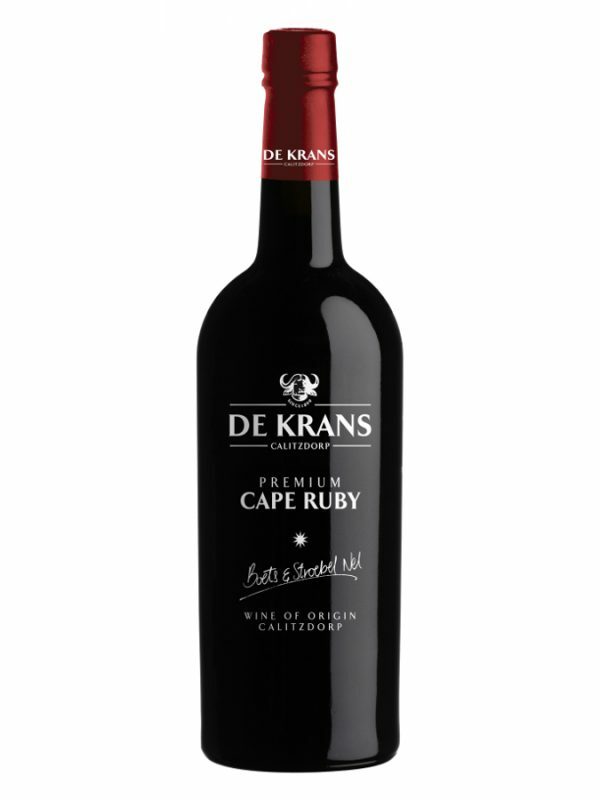 A big wine full of ripe dark fruit notes of plum, mulberry and black currents. Well-rounded with smooth dark chocolate undertones and firm tannins results in n wine that would mature well over 30years. Selected bunches are handpicked mid to late February from row selected vines in specific blocks at 26o Balling. Bunches are de-stemmed, crushed and rapidly cooled in a small open fermenter. Grapes are left to spontaneously start fermentation. At the desired sugar-level, the fermentation is stopped by adding alcohol to the juice. The wine is then matured in big vats for 20 months. Colour: Dark black colour with plum red rim. Bouquet: Very aromatic nose of ripe red berries and cherries, stewed prunes and dark chocolate. 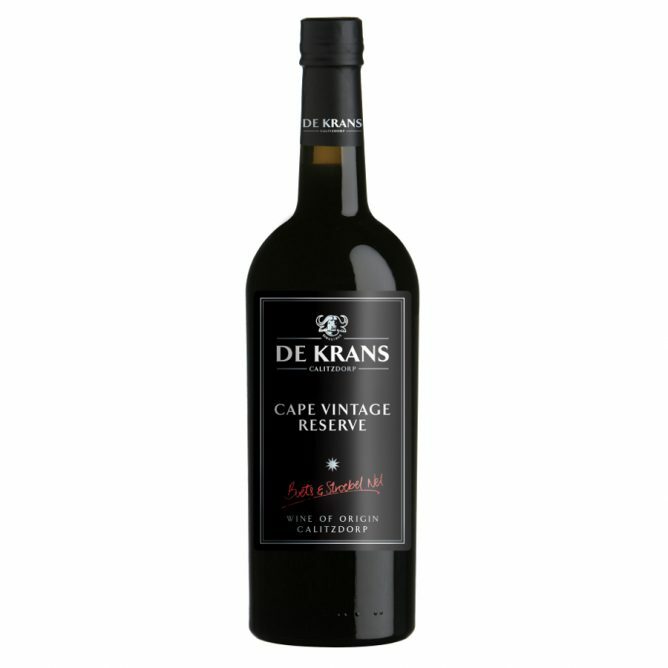 Taste: A big wine full of ripe dark fruit notes of plum, mulberry and black currents. Well-rounded with smooth dark chocolate undertones and firm tannins results in n wine that would mature well over 30years. Pair beautifully with most baked desserts or in a sauce over ice cream. Enjoyed with well matured cheese or simply on its own.